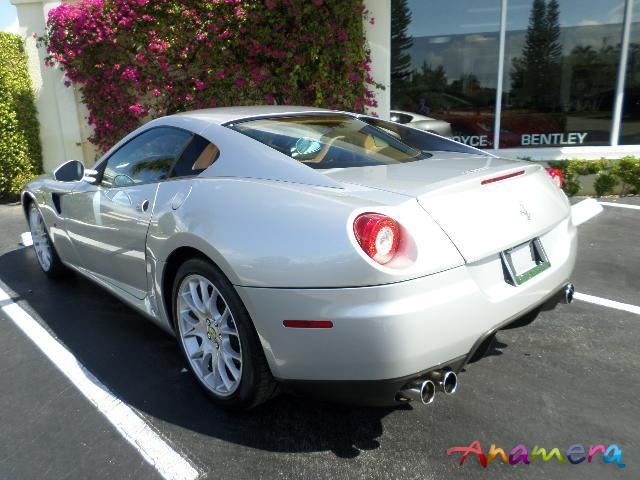 *** ONLY 5,543 MILES *** FERRARI 599 GTB! F-1 TRANSMISSION! 20” CHALLENGE FACTORY WHEELS! DAYTONA POWER SEATS! CARBON FIBRE TRIM! FERRARI SCUDERIA SHIELDS! 6-DISC CD CHANGER! PASSPORT SRX IN-DASH RADAR SYSTEM! CARFAX CERTIFIED! Finished in Nurburgring Silver Metallic with Cream Leather Interior and Contrasting Red Stitching throughout the entire car. Carbon Fibre Interior trim to front dash, center console and to seats. Leather trimmed 3-spoke steering wheel. Yellow Tachometer. * Ferrari Scuderia Fender Shields. * Carbon Fibre Interior Trim. * 20” Challenge Factory Alloy Wheels with Red Brake Calipers. * Ferrari Red Car Cover. 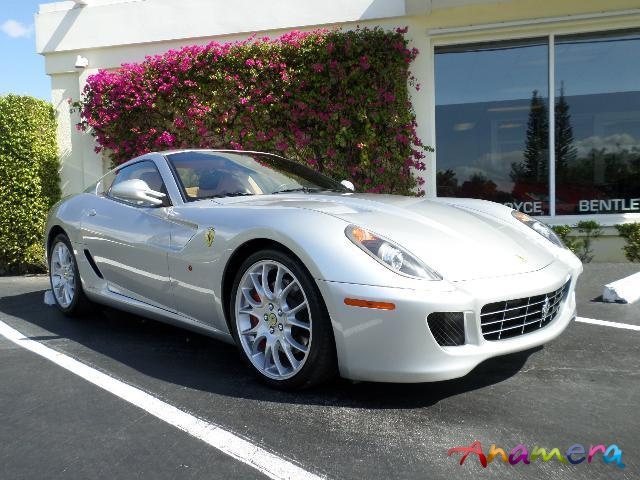 The Ferrari 599 GTB Fiorano is powered by a 611hp 6.0L V12 engine combined with the F-1 super fast transmission that shifts gears in 100 milliseconds. The 599 GTB Fiorano also features the F-1-Trac to optimize traction and the SCM (magnetorheological fluid suspension system) developed with Delphi which provides improved bumps absorption and body control. All Books and 2 Keys. Includes Ferrari car cover. Garage Kept. Meticulously Maintained. Stunning! For additional details, reference letters, and to view our inventory of over 90 luxury certified vehicles, please go to www.chariotsofpb.com or please call us at 1-561-640-1090.